I recently returned from a wonderful trip home to see the family, and I must say, I'd forgotten just how relentless the heat and humidity in Hong Kong could feel. The last time I was in HK during the summer was 4 years ago before I moved to NYC. Although I am missing everyone and especially Mollyboo so very much, I have been gifted with beautifully coolish summer weather in NYC! Handmade noodles in the spiciest soup at Cafe Too. The mango souffle at Cafe Too-- the fluffiest, most amazing dessert. My grandma claims that she's not a dessert person, but managed to finish this off while I was still working on my chocolate banana crepe. 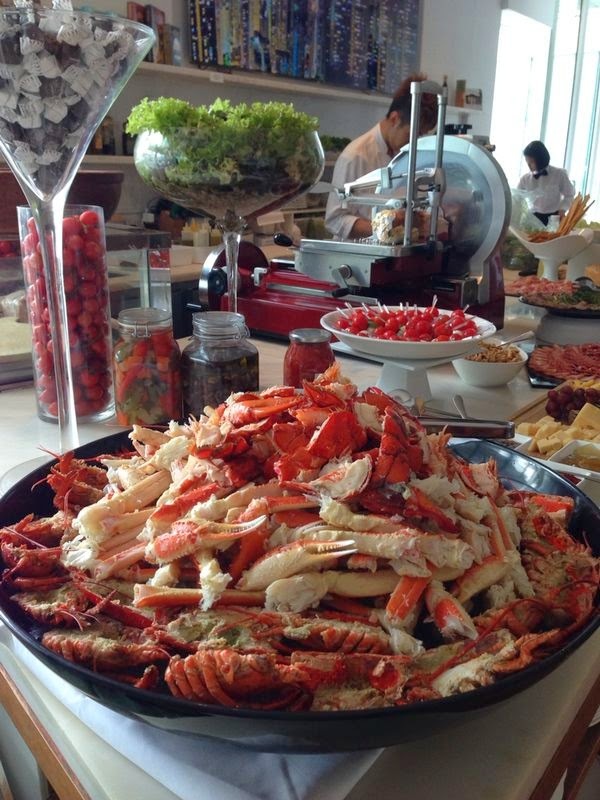 The incredible spread of lobster claws and crab legs. Isola is still my favorite Italian restaurant in HK. 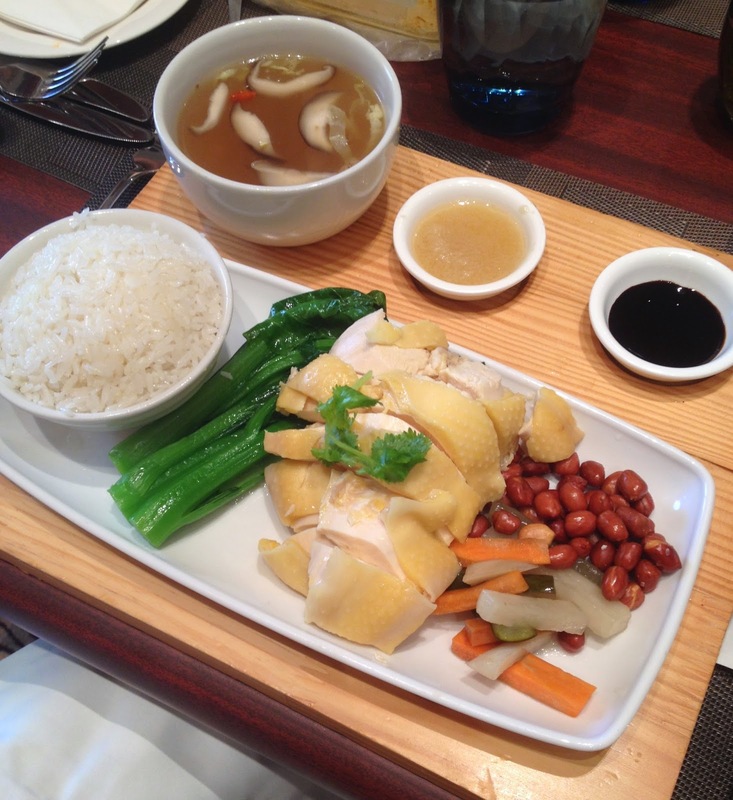 Hainan chicken with chicken broth rice and soup at American Club. I requested 2 more ginger sauces because it was so addictive. 'Till next time, Hong Kong!